An expository guide to Judges which will excite ordinary Christians in their faith and equip teachers and preachers in their work. "Judges has only one hero—God. And as we read this as an account of how he works in history, it comes alive. This book is not an easy read. But living in the times we do, it is an essential one." Judges for You is a uniquely flexible resource. It can simply be read as a book; used as a daily devotional, complete with reflection questions; or utilized by anyone who has a teaching ministry, to help small-group leaders understand and apply the text, and to give preachers helpful ways of connecting timeless Bible truths to today's world. 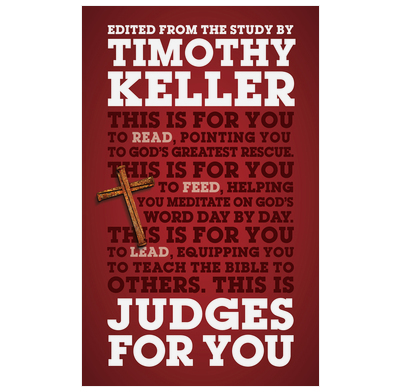 Judges for You is designed to work alongside The flawed and the flawless, Timothy Keller's Bible study resource for small groups and individuals.